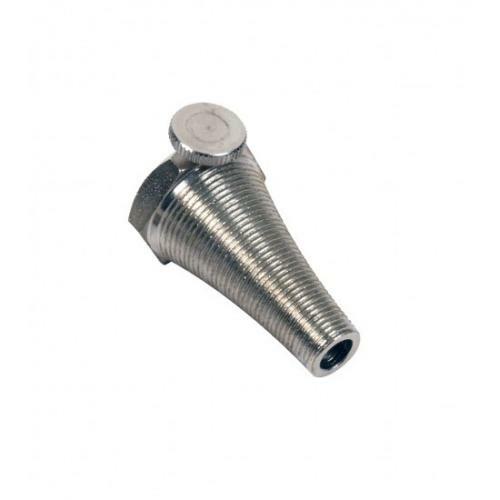 A replacement Kane 17320 depth stop cone (adjustable depth gauge) for use with Kane flue gas analyser 6mm diameter combustion probes. When not being used to position the combustion probe in the flue, slide the depth stop cone to the end of the probe to protect the exposed delicate thermocouple tip. Kane KMCP2 250mm long x 6mm diameter shaft combustion probe. In reality this depth stop cone may be used with ANY 6mm diameter combustion probe!